This is the second in a series of four blogs titled “Zeroing in on Excellence”. MCPON Stevens discusses leadership and the roles Chief Petty Officers play in that. 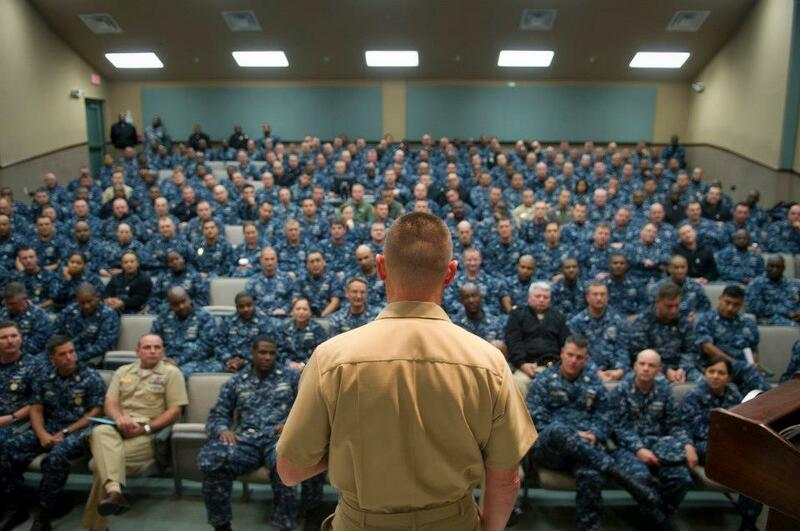 Since MCPON is the senior enlisted leader in the Navy his time and expertise on this matter make him a great subject matter expert. It is easy to become distracted by things that are beyond our control. World events, natural disasters and challenging global economics drive much of what you and I are unable to control. By leading and providing recommendations, we are sometimes able to influence the way our Navy responds to these things, but we cannot always predetermine an outcome. That said, there are many things that you and I do own and control, including Good Order & Discipline, technical training, maintenance/administrative production, and the execution of orders. We also have the ability to control much of our own lives by becoming and remaining physically, mentally, morally and spiritually sound. As Chief Petty Officers, we have the responsibility to lead our Sailors, mentor our junior officers, and ensure the Navy’s mission is being accomplished. To do this effectively requires our absolute focus and attention. Making the Navy run is a job for professionals only – we simply do not have room for amateurs. Professionals know what the priorities are and where to apply energy – they are not easily distracted by white noise beyond their control. My charge to each of you is to think about and “get after” those things that are most important and relevant to the success of our Navy and that are within your sphere of influence and control. If we do this collectively I am confident we will have a major impact on the readiness and mission accomplishment of the United States Navy.